UG Safety Squat Bar - Our safety squat bar is 7' in length, constructed out of Schedule 80 tubing and 3/16" wall and 3x2 tubing. 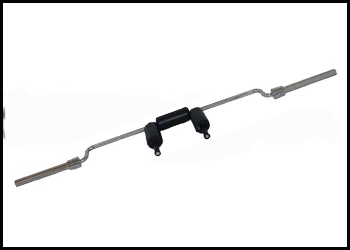 While other safety squat bars have short stubby arms, our safety squat bar has long, curved handles and will withstand anything you can throw at it. Weight is 44#lbs. **Note: Most Olympic sized collars may not fit this bar. ** Recommended collars are UG ProLoc collars.